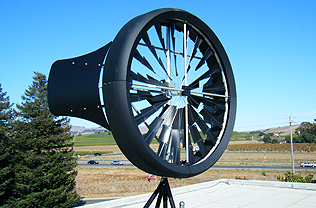 The TAM Wind Turbine (marketed and warrantied in the US, Canada, and Puerto Rico as “The Honeywell turbine by TAM”) produces clean renewable energy where the energy is used, at your home or commercial building. 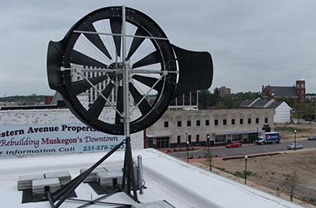 The small size of the Turbine allows it to be installed almost anywhere instead of in large wind farms. 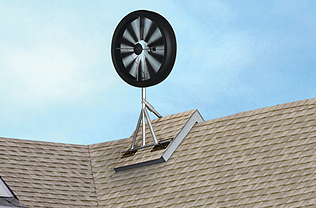 Large cities, rural houses and everywhere in between can benefit from the Turbine. 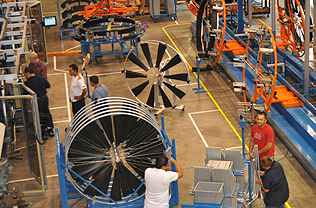 The technology in the Turbine, the same as utilized in aerospace industry and by NASA, makes the Turbine the most efficient certified Turbine available. 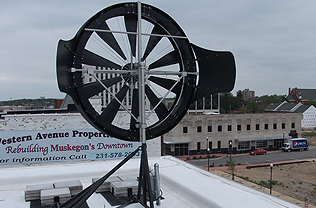 The Turbine begins producing power at 2 miles per hour of wind speed. 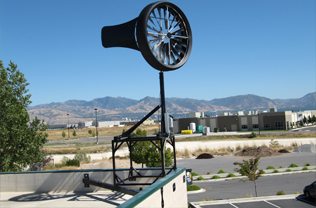 The Turbine is a gearless wind turbine that measures just 6 feet (1.8 m) in diameter, weighs 185 lbs (84 kgs) and produces on average 2000 KWh per year plus or minus depending on site location, height and annual wind speed. TAM Wind Turbine’s BTPS (Blade Tip Power System) unique design of multi-stage blades allows the system to react quickly to changes in wind speed. 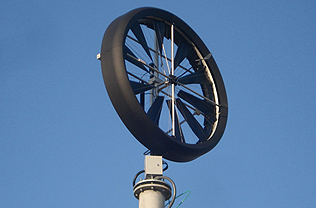 This ensures that the maximum wind energy is captured without the typical noise and vibration associated with traditional wind turbines. 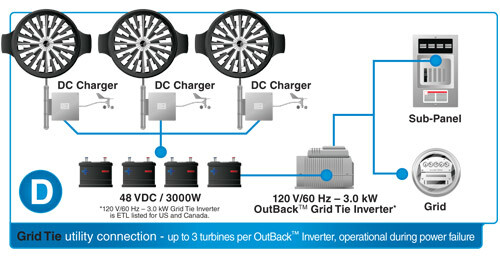 For use in residential or commercial applications the Turbine has full UL and CE certification allowing it to connect directly to the grid or to supplement power in the home or commercial building. Off grid applications are also possible. 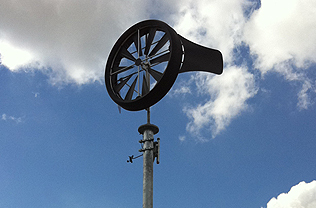 The shroud around the blades make the Turbine highly visible to wildlife and also make the Turbine very quiet. These are two of the most common complaints of traditional wind turbines. 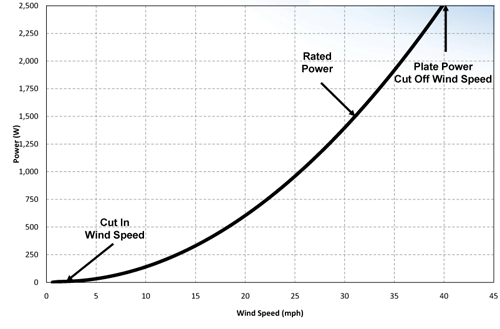 TAM Energy has created a range of tools to assist in identifying proper site selection based on wind speed and flow. TAM Energy also will assist in obtaining rebates and tax incentives offered on federal, state, municipal and utility. Many of these rebates are based on the amount of power produced, as they should be, with the high efficiency of the Turbine this means your green dollars go farther with the TAM Turbine. 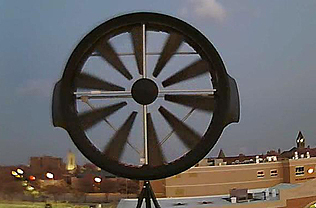 Compare to Solar or other certified Turbines and based on actual power production TAM Turbine is the lowest cost green energy available (prove us wrong and we will take this down). You don’t want to have to worry about maintenance and that’s why there is no mechanical maintenance required. Clear leaves and debris from the shroud, if by trees, 2x a year and that’s it. No gears or motors so there is nothing to maintain. 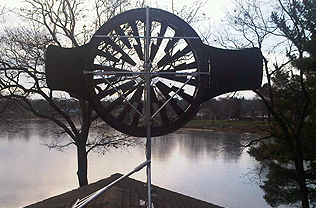 It is recommended to replace the spindle, looks like bicycle tire spokes, every 8 years so call us for replacement quote and we will do it for you. It's that simple.